Silje Fuglerud, PhD candidate of Artificial Pancreas Trondheim (APT) and the DIAP project, has recently published a paper in the journal "Applied Optics". Measuring glucose in a bodily fluid by near infrared spectroscopy (near infrared is light with a wavelength longer than the eye can see, and spectroscopy is the method of detecting substances based on what light is absorbed, which is like a fingerprint from molecules) can be a reliable method for blood sugar monitoring of diabetic patients. However, spectroscopy in liquids currently requires large benchtop lab instruments that are not easily portable and definitely not wearable. In this paper, we describe one step towards wearable equipment for optical continuous glucose monitoring of liquids in the body. Optical fibers with diameter of 125 micrometers (that is about the thickness of a thick hair) are used to guide the light and measure glucose in aqueous solutions with low-cost portable (but not yet wearable) instruments. 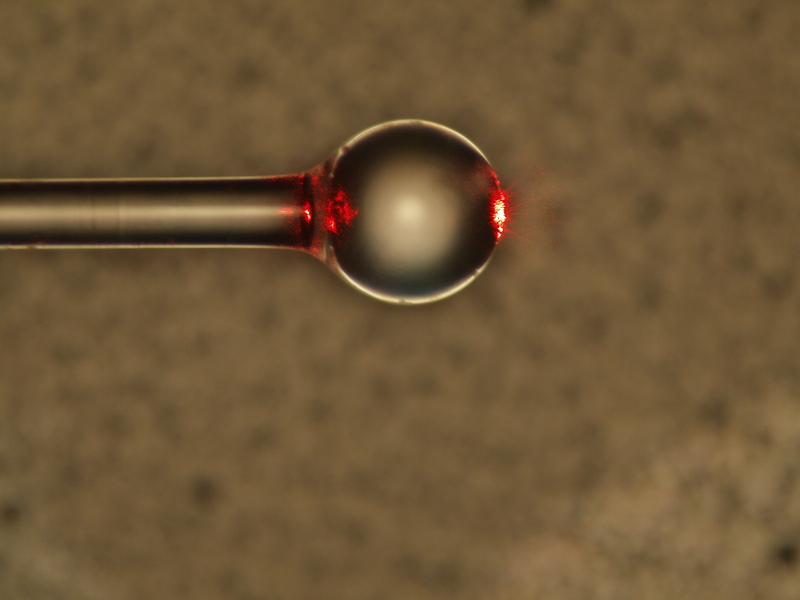 For the light to interact with the liquid, two so-called ball-lenses are constructed at the end of the fibers, which focuses the light from one fiber to the next. This reduces losses and is a smart way to avoid bulky optical lenses, as the ball-lenses are not larger than 350 micro meter in diameter.